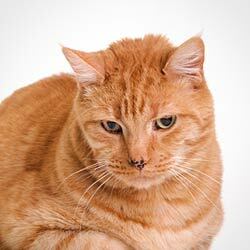 Contact us about our 'Large Animal', 'Companion Pet' and 'Feline and exotic' package options. When did you start using LLLT? Why did you choose THOR? THOR is not a Class IV laser, does that affect it's efficacy? What conditions do you use LLLT for? How has LLLT changed your practice? We run 24 training courses in the USA, 24 in the UK and 6 in Australia every year. "After attending the Orlando CE meeting and all the learning that has followed I have come to the conclusion that Thor beats them all, on several levels. The other companies can't hold a candle to your customer service. You have provided and defended the science behind your product. You have been professional in not bashing the competition, simply pointing out the flaws in their claims. You have helped me to navigate the marketing tricks and understand the difference between what happens in the laboratory and clinical setting. Though I do believe other products have merit and the ways in which we use light therapy will change as we learn more, I feel comfortable that Thor's unit will not become obsolete in the near future because of the built in flexibility of the interchangeable heads and frequencies. You are the only company (of the three I have been looking at) that has been able to demonstrate to me that should I purchase your unit, we will be set up for success because of the support and education you provide. Lots of companies promise support but none have demonstrated to me that their treatment protocols are more than trial and error. Dr. Hirschberg is getting better clinical results in less time because his protocols are based on the whole animal's physiology and the science behind LLLT. I can't thank you enough for the time and assistance you have provided me as I have gone through this intense process and learning curve." Please add me to the monthly THOR training, research and conference Newsletter. History - 20 year old domestic short hair neutered male cat with hind end stiffness of several years. Diagnosis - Osteoarthritis of both stifle joints as well as spondylosis of the lumbar spine. Previous Treatment - Occasional use of NSAIDs resulted in some improvement in mobility but the patient would no longer climb stairs or jump onto furniture. The owner believed that his quality of life was acceptable, but was hoping for a means to improve comfort. Laser Therapy - Laser therapy was initiated with LED cluster over the stifles, lumbar spine, sacrum and adjacent lymphatics. Results - The owner reported improved alertness after the initial session with improved mobility noted after the second treatment. After five laser treatments the patient climbed stairs, became more active and jumped onto low pieces of furniture. Tail activity returned. The patient is well controlled with every third week sessions. History - 3 year old spay female Dachshund cross with acute onset of hind end paralysis of 48 hours duration. Deep pain reflex was intact but there was no voluntary movement of hind legs. Patient was depressed and anorectic. Diagnosis - Degenerative disc disease with collapsed disc space and suspected disc herniation at lumbar spine L2-L3. Previous Treatment - NSAID was administered by the previous veterinarian with little or no response. Laser Therapy - Therapy was initiated with LED cluster and laser probe over thoracolumbar spine. Results - Within several hours after first treatment the patient's appetite returned and she was more engaged. After the second treatment five days later, the patient was bright and had a withdrawal reflex in her left hind leg. Deep pain reflexes remained intact. After the third treatment the patient supported her weight and walked on three legs. She was comfortable and able to urinate on her own. Three weeks after the initial laser treatment (4 treatments total) the patient ran with a mild proprioceptive deficit on the right hind leg. Two months after the initial episode, the patient is clinically normal. 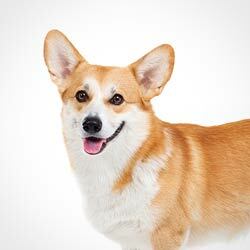 History - 3 year old spay female Welsh Corgi was presented with a one day duration of extreme pain in the right front leg. Diagnosis - Palpation without sedation was unattainable. Radiographs were negative for osseous lesions. Pain appeared to be most significant in the area of the elbow. Previous Treatment - The apparent soft tissue injury was treated with NSAIDs. Within twenty four hours the pet became severely ill with hemorrhagic enteritis and gastritis secondary to NSAID use. After supportive therapy the gastrointestinal signs subsided but the front leg pain was present and intense. 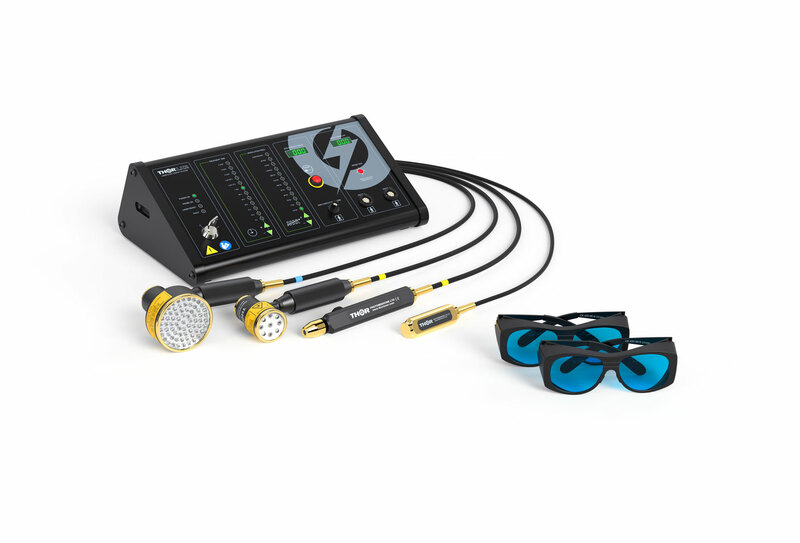 Laser Therapy - Laser therapy was initiated using the laser probe over the elbow (obvious point of discomfort) and the LED hand piece over adjacent lymphatics. The laser probe was also used to achieve a temporary nerve block. Results - After the second laser treatment a limp remained present but the pain was considerably less. After the fourth treatment the patient was sixty to seventy percent weight bearing. At the sixth treatment, the owner stated the patient was "ninety five percent" improved and elected to terminate the treatments at that time. The patient is pain free six months later. 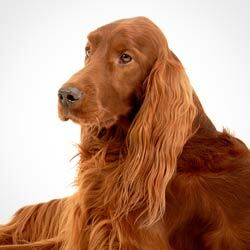 History - 7 year old neutered male Irish Setter with a history of intermittent left front leg lameness of three years. Diagnosis - Osteoarthritis of the left carpus and interphalangeal joints of the second and third digit. Previous Treatment - Initially responded to polyglycosated aminoglycans and NSAIDs. After 24 months the lameness became less responsive to the medications and the patient's demeanor became lackadaisical. Surgery consult offered carpal fusion but was determined too aggressive for the current condition. Laser Therapy - Laser therapy was initiated using the LED cluster to regional lymphatics, and both the LED and laser probe over the affected sites. Results - Within three treatments the patient's demeanor improved considerably. He became more active and engaged. After the fourth treatment the lameness appeared to be improving and subsequently disappeared after the seventh session. Currently he remains pain free and active with laser therapy every 3rd or 4th week. 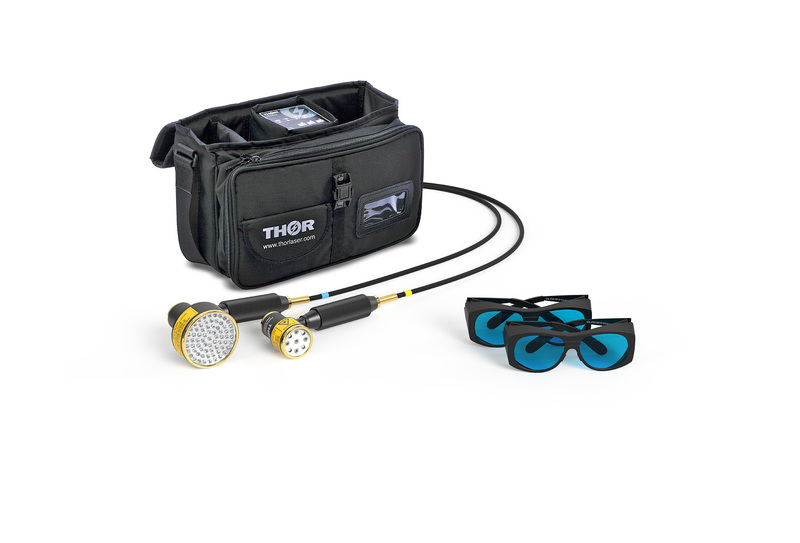 Investing in a THOR Photomedicine LLLT system for your practice will not only enhance your existing treatment regimes but will also allow you to offer long term, drug-free side-effect free pain relief when surgery is not applicable or desirable. As an additional pre and post-surgical treatment. Low level laser therapy treatment can be added to surgical protocols as an ancillary treatment for non-cancerous lump removals, orthopedic surgeries, foreign body surgeries and wounds. Adding LLLT to the protocols will improve the speed and quality of tissue repair and reduce inflammation and pain. The treatment will increase revenue and does not require veterinarians to convince clients to switch treatments. Financially, the LLLT treatments will provide a regular stream of income. A typical protocol is approximately 6 visits within the first 4 weeks and then maintenance treatments every 3 to 4 weeks or until resolution. 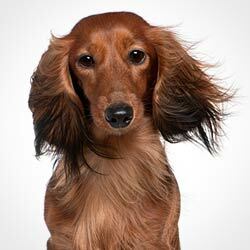 The frequency of patients’ visits will increase the probability of further product purchases, such as heartworm and flea preventatives, ear cleaning products,and dental products. Additionally, closer monitoring of a patient’s condition will lead to earlier diagnosis of other potential medical issues. The cost of switching from pharmaceuticals to LLLT treatment is minimal. The margins from drug sales are constantly being squeezed by pressure from internet pharmacies and alternative sources. The loss of income by reducing the need for frequent chemistry profiles will be far outweighed by the continual visits for treatment. In summary, a vet practice which includes THOR LLLT into their business can profit in a number of ways. The most obvious one would be more positive treatments. Want to offer this service to your own patients?